There is indeed a BAKING recipe on this blog! I made this recipe a few weeks ago and proudly instagrammed it. When I found myself wanting more of it last week, I thought ok - people need this recipe. Yes, need. It's so good, I don't even care about turning on my oven when it's 108 outside. THAT'S how friggin' finger lickin' good this stuff is. Like, eat the crumbs off the countertop good. Don't act like you've never done that. So get yourself some 'naners, let them get real ripe on your counter and then hook yourself up with this deliciousness. Preheat the oven to 350 degrees. Grease and flour a bread pan. Peel and smash the bananas with a fork and set aside. Mix together the dry ingredients in a large bowl: the four, sugar, salt and baking powder. Add the wet ingredients to the well-mixed dry: mashed bananas, melted butter, egg, milk, and vanilla. Stir for about a minute, mixing all the ingredients together well. Fold in the walnuts and chocolate chips. With a cooling rack, flip the bread out of the baking pan immediately after taking it out of the oven. Allow the bread to cool on the cooling rack before cutting. This bread is good as is or with a coat of butter added to it! This really looks delicious. I make a very similar banana bread, but I never thought to add chocolate chips! What a great idea. Mmmm! 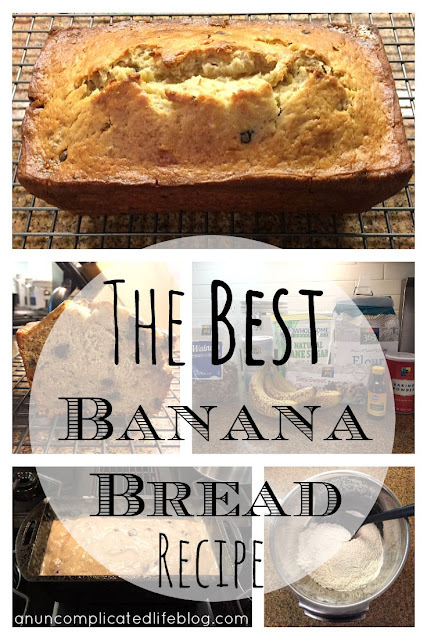 I hate bananas, but I love me some banana bread! Weird, huh? Adding chocolate chips is a MUST. I can't wait to try your recipe soon. I love banana bread! This looks so good. I so need to try and make some. Well thanks for making me hungry! 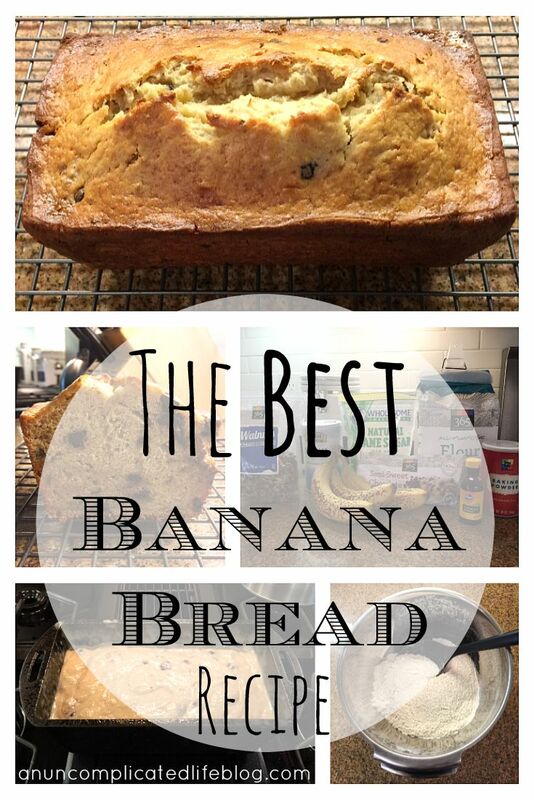 I looooove banana bread anytime of the year! Whoa, a baking recipe! Good on ya girlfriend! I love me a good banana bread recipe and I agree on the chocolate chips; why wouldn't you?! Oh man. I LOVE banana bread. I have to try this one! Thanks for sharing! My mother always sends me home with a banana bread loaf which I proceed to slather every single piece with butter and then pop in the microwave.....now I want some. I like where you're mind is at with those chocolate chip additions! pinning this, i have never made banana bread.. though i have definitely eaten it before, SO good! At times when everybody lives on a tighter budget looking for money saving opportunities is high priority. People still love to go out, meet friends after work, enjoy a food voucher codes, it cannot expensive to do that. Happy hours and discounted food specials are really popular among people every age group.